What are the FHA reverse mortgage requirements? This type of mortgage may also be called a home equity conversion mortgage, and it allows some of the built up equity to be drawn from a home. There are some special requirements to qualify for a reverse home mortgage through FHA, and you should understand these to determine whether you can use this option. One of the reverse mortgage requirements is that you must be at least sixty two years old to be eligible for this program, and another is that the property in question must be your principal residence to qualify for the program. There are some reverse mortgage disadvantages that need to be evaluated, before making the decision to take out this type of mortgage. The FHA reverse mortgage requirements also stipulate that you either own the property completely or that any mortgage balance is small, and that you do not owe any federal debt. If both of these conditions are not met you are not eligible for this type of mortgage program. Another requirement is that you must have a consumer information session which is mandatory, and part of this session includes having the reverse mortgage explained completely so that you understand all of the terms and conditions. 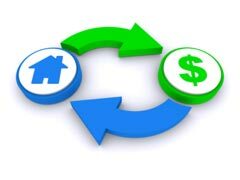 The reverse mortgage requirements that the FHA has put into place are not very hard to meet in many cases. There are no income guidelines, because this mortgage type pays you. As long as the home is your primary residence and you meet all of the eligibility requirements then this mortgage does not have any payments due. There are many reverse mortgage lenders out there, but some of these companies may be shady. The FHA program was designed to help consumers find a reverse mortgage, without falling victim to any unfair or fraudulent lending practices. Meeting the reverse mortgage requirements that the FHA has is usually not difficult, and this mortgage can help improve your life by giving you access to your home equity.